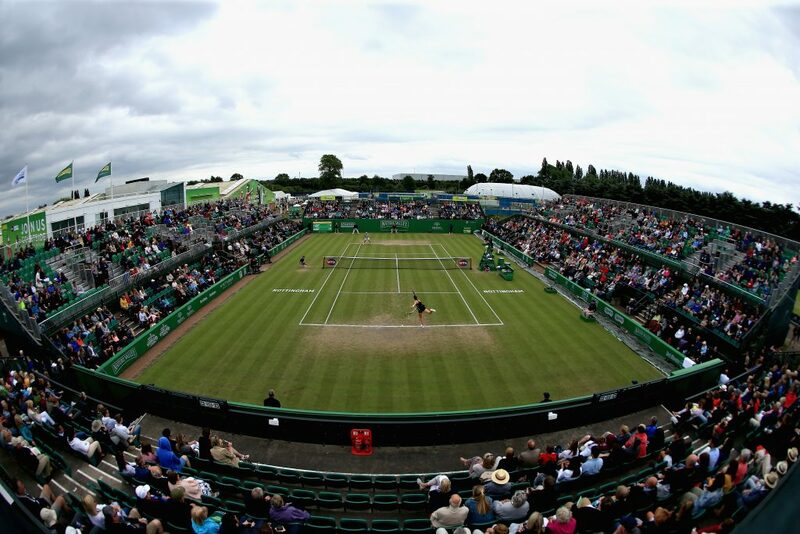 Over the past week, Nottingham Tennis Centre has hosted the prestigious Nature Valley Open pre-Wimbledon tournament with the likes of British Number One Johanna Konta gracing the turf. After this amazing week of breath taking action, the centre is once again open to the public and ready to inspire the next generation of champions with an open weekend (24 and 25 June) and a great offer for those wanting to keep on playing. Anybody joining the coaching programme by the end of June will receive a brand new racket! From 2-4pm on Saturday and Sunday, the Nottingham Tennis Centre courts will be free to any adults and juniors wanting to play. Expert coaching staff will be on hand to offer a few pointers and to explain about the options to play more regularly at the centre, either by taking part in the coaching programme or booking a court on a more casual basis. There are also opportunities to play for free on other courts in the city at Nottingham parks. There is a session from 2-4 at Vernon Park, Vernon Park Drive on 23 June and a second parks session from 2-4 at Valley Road Tennis Courts, Valley Road on 24 June. These sessions will also have coaches and membership offers. Nottingham Tennis Centre’s tennis programme has approximately 1,150 adults and children participating in a weekly coaching programme. This has grown from 430 in 2015. The centre’s junior coaching programme has grown substantially from 350 children in 2015 to 800 children at the end of 2017 and is partially due to the strong schools programme associated with the Nature Valley Open tournament. Last year’s post tournament buzz saw 232 new junior members for the Nottingham Tennis Centre programme where they continue enjoying their tennis. The centre expects to do as well, if not better in 2018, particularly with the free racket offer.